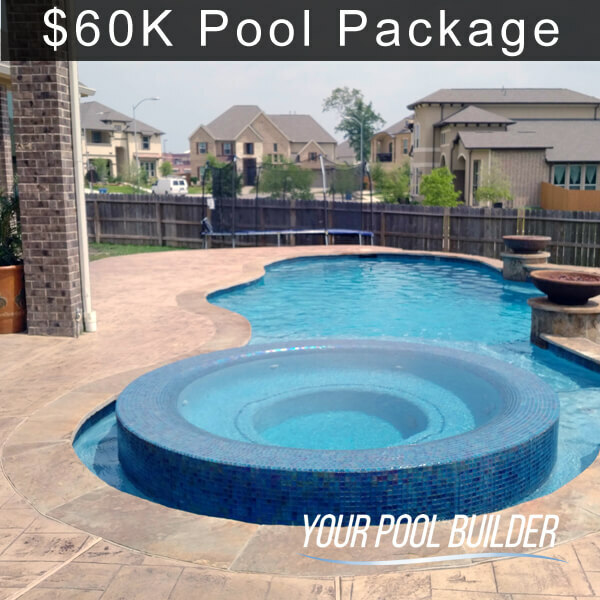 Owning a custom inground swimming pool can be affordable for anyone. 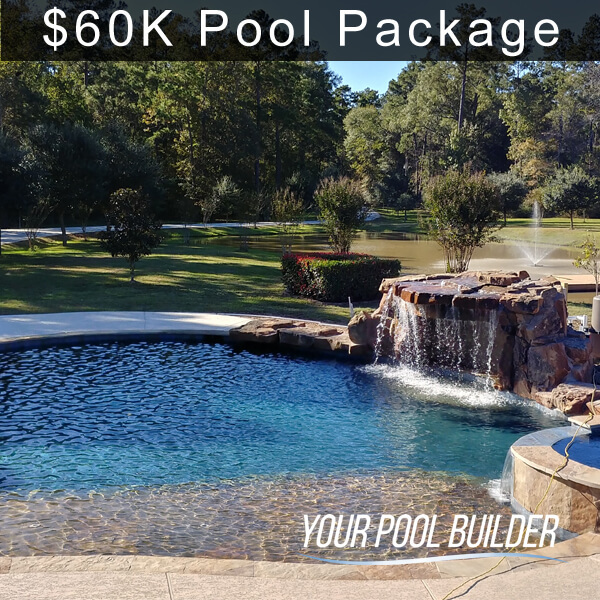 In most cases, it simply depends on the size of pool, engineering requirements, and optional features that make up the bulk of cost. 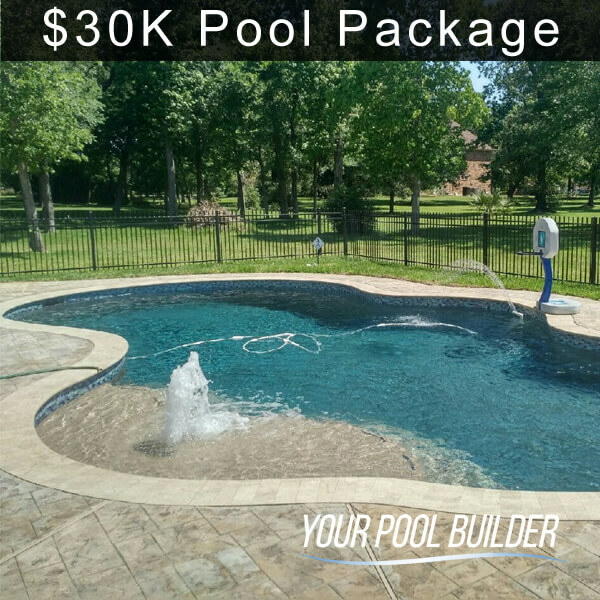 Even under $30,000 for some of the smallest swimming pools, you can still get a pool for under $30k but it will not be very big or offer many features. 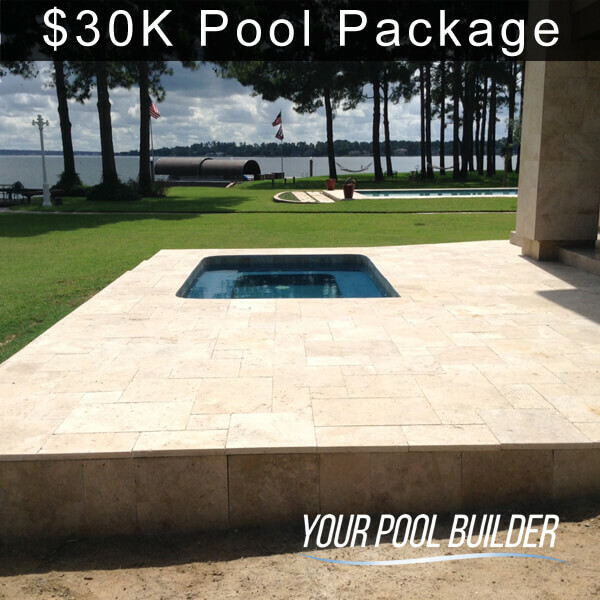 Most of us appreciate a pool design that includes some features, functionality and appeal. 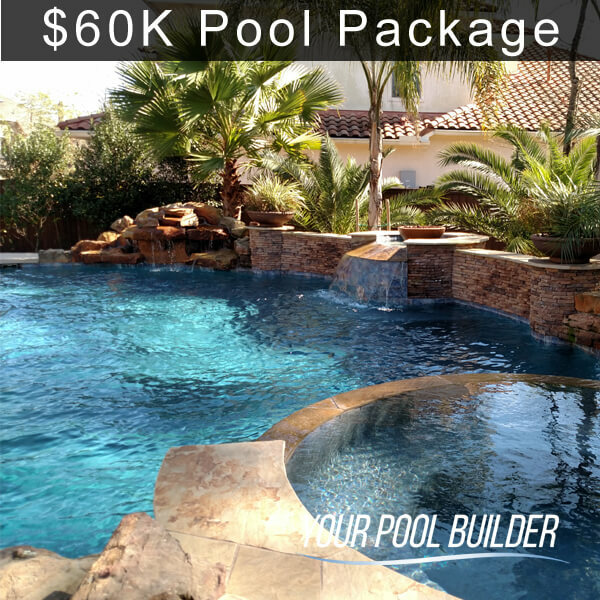 For this reason we will start our swimming pool price range examples from $30K and up. 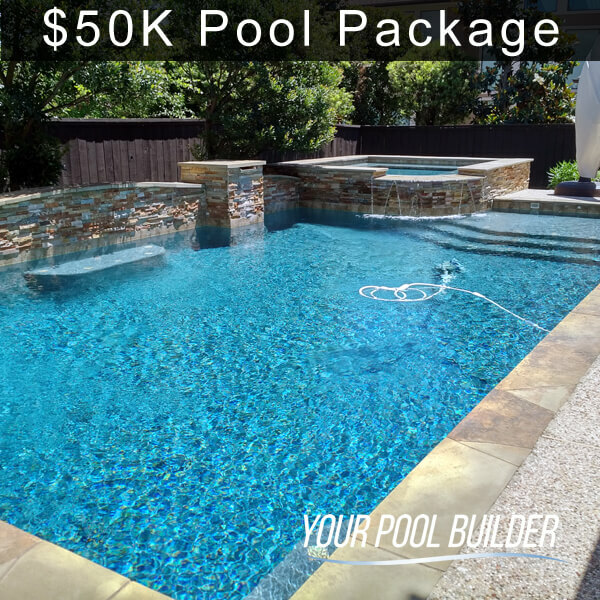 Please keep in mind that the overall design requirements will always include hard-line cost items (such as: engineering requirements regardless of the size of pool to be installed), and that all additional features or accessories are considered optional; this creates the base total construction cost, and then line-item any upgrades or creative features you may want. 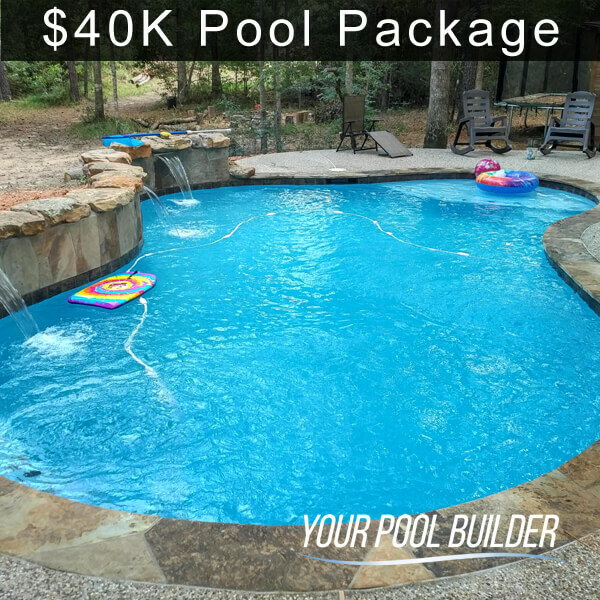 Browse the galleries below to get an idea of what type of features, sizes and shapes are included in your pool price range. 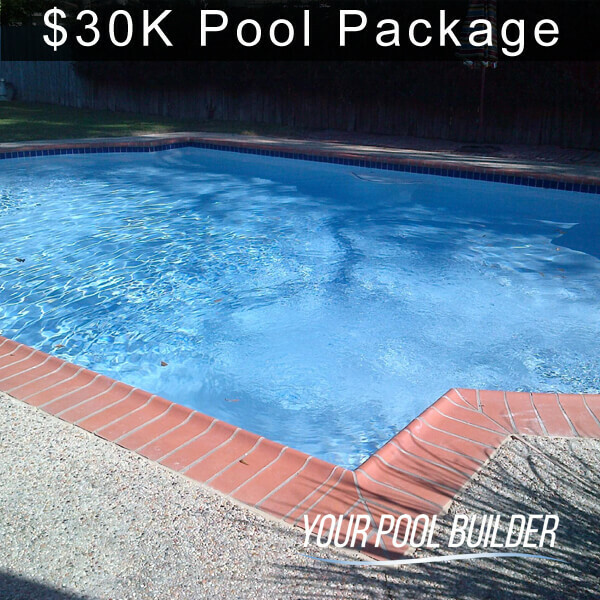 Swimming pools in the range of $30k – $35k can have many desirable features. Although usually small, 88′ perimeter or less (also calculated as 400 SQFT surface area) can pack useful functionality. 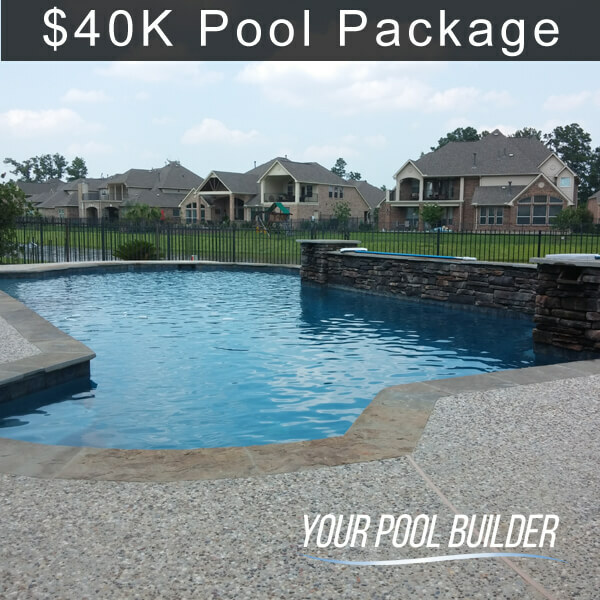 These “starter pools” are perfect for small backyards, or those who require a pool for handicap rehabilitation, exercise, etc. 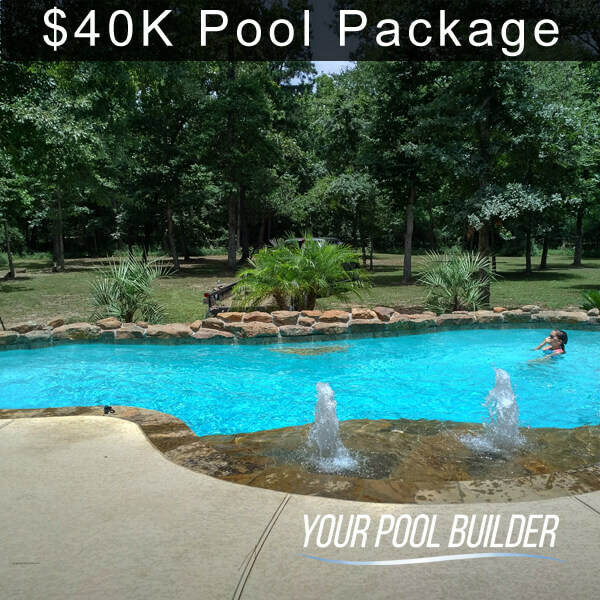 Moving into the range of $40 – $45k, swimming pools generally start to have more features such as raised walls, or a waterfall or some other creative custom design aspect. 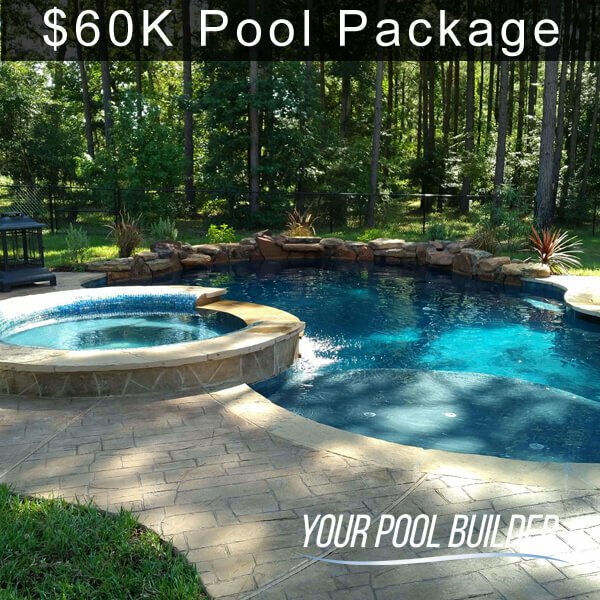 With many options available in this price range, you may find many pools including upgraded interior surfaces, or even glass pool tiles. 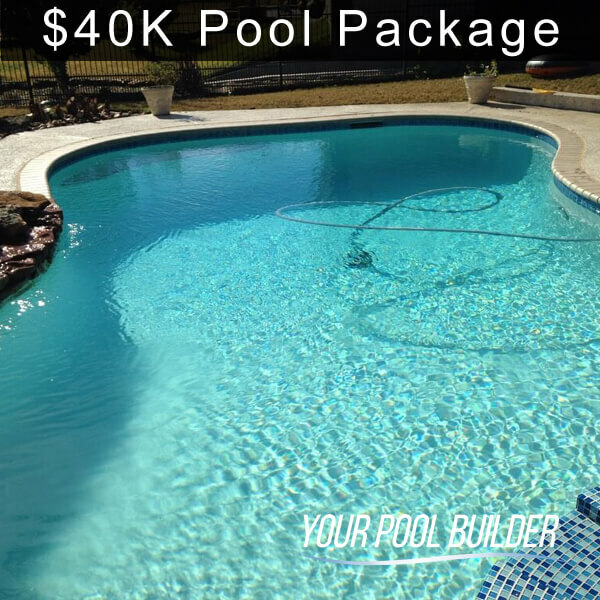 In the $40,000+ budget range you have access to more options. 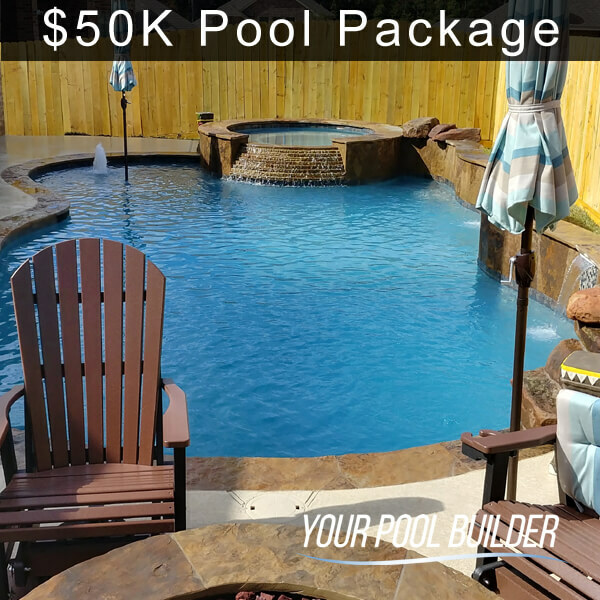 Most inground swimming pools within the range of $50k – $55k include attached hot tubs, and possibly one other main water feature, or a combination of different upgrades items. 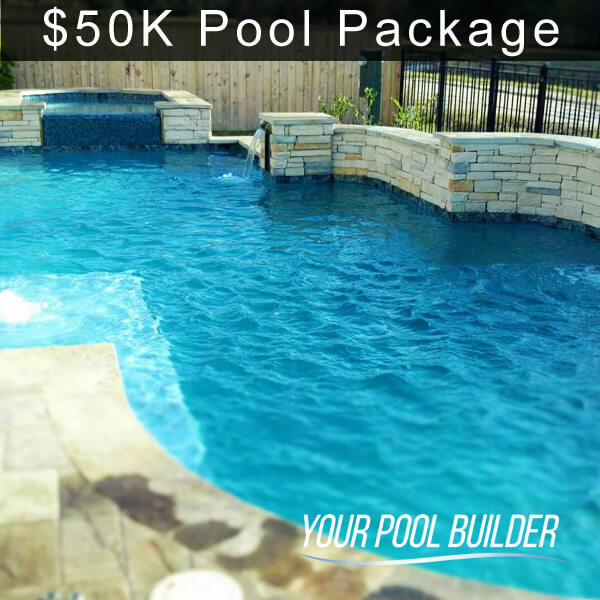 In this budget range you start to have even more access to some advanced options such as digital automation, LEDs, and programmable pool pumps plus possibly a few items mixed & matched to your liking. 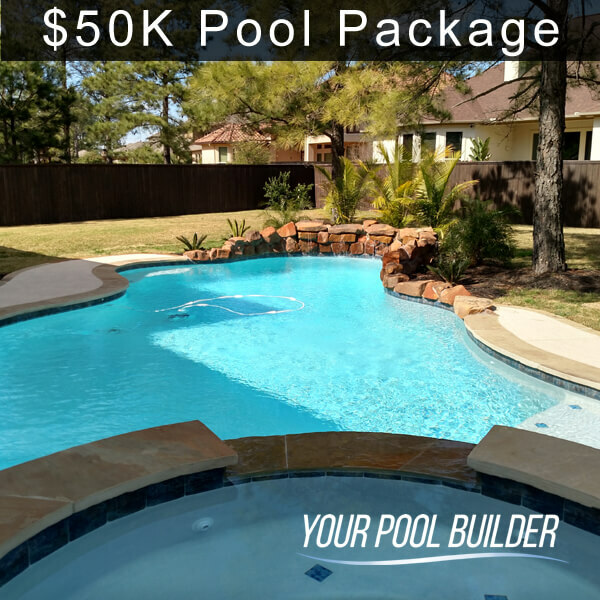 Serious about a new pool? Get started here.